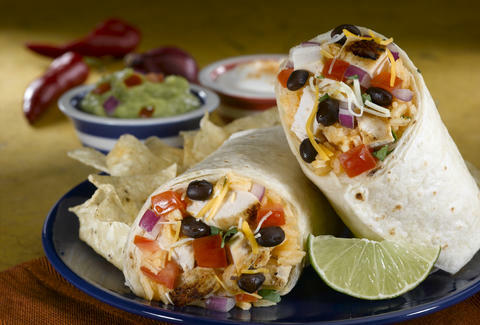 Started by two guys with a burrito obsession in '09, it's now branched out with six locations. Obviously it's doing something right. 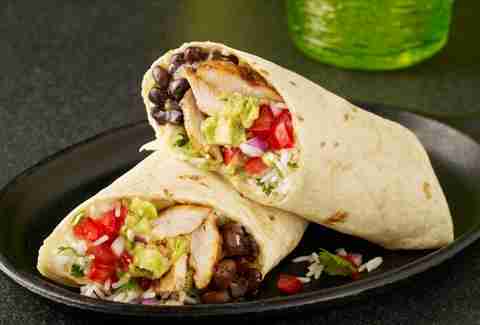 The burritos are delicious, and it even has some pre-made grab-and-go wraps if you're crazy busy. What started as one small food stall has grown into a mini burrito empire with several stalls and even a little takeaway joint by Liverpool St. It's expanded its menu a touch with both the traditional Mexi-meats as well as some good ol' fashioned Southern-style BBQ. As if you needed your decision to be any more difficult. The steak is particularly spectacular after being marinated for 24 hours and cooked to a nice medium rare. 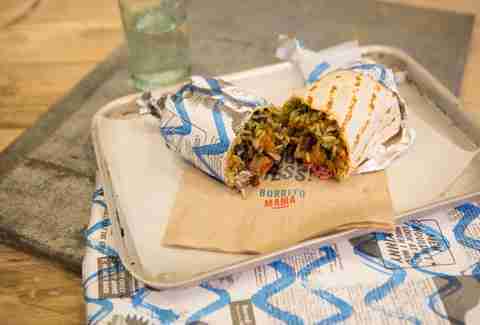 As the Wahaca empire continues its march across the capitol, it's rather quietly also opened a couple small burrito takeaway windows in White City, Canary Wharf, and Charlotte St. And yes, its legendary pork pibil is available. Its Carnitas are braised with balsamic vinegar and black pepper, sure a little modern, but damn tasty. The vinegar isn’t really noticeable, but cleanses your pallet from the pork nicely. Another cool thing here -- its little cylindrical parcels come in two sizes (regular and baby), meaning if a food coma is your destination and you fancy trying multiple flavours, they can totally get on board. When this US-based chain first came to London, it was welcomed with open arms by some expats with the hopes that just maybe the Mexican cuisine they fondly remembered had arrived. 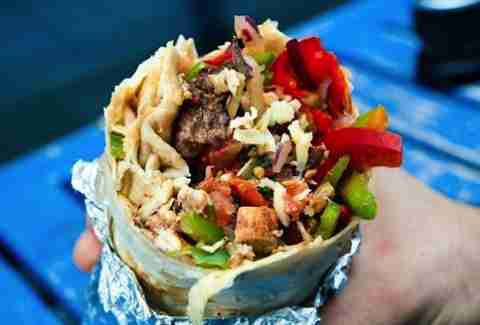 While the UK version has received mixed responses, it’s raised the profile of the humble burrito across the city to new heights. The barbacoa pork, slowly braised with chipotle chili adobo, cumin, cloves, garlic, and oregano, gives the perfect amount of saucy heat to keep your mouth wanting more. Pro tip: always, always get guacamole. Life is too short. 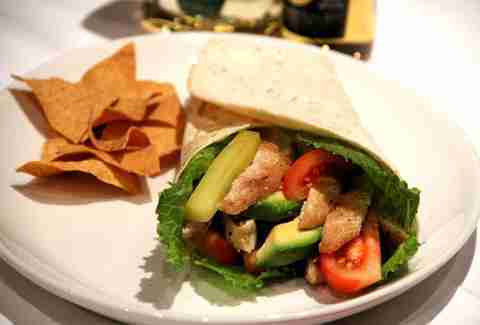 Traditional Mexican restaurant Mestizo was lacking one thing: burritos. 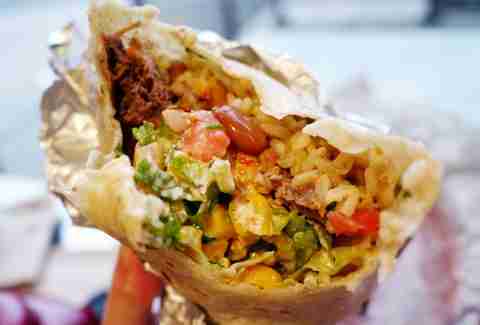 Luckily they finally realized the error of their ways and opened a little takeaway shop, aptly named El Burrito. 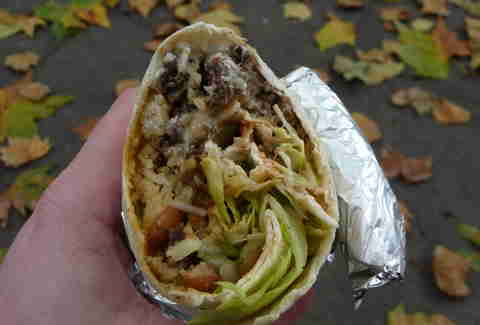 While a touch on the smaller side, the flavours are bold, and there's an excellent percentage of meat involved. Its mole sauce is a real star here, with over 20 ingredients cooked real slow, leaving the meat juicy and perfect. 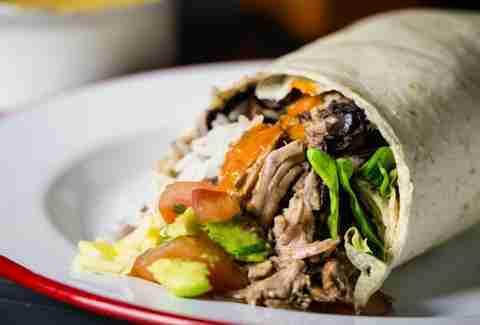 Chilango's pork is gently marinated and braised, leaving the meat insanely tender. The guacamole is superb. And the service is suuuper quick, averaging two minutes. In fact, you can order straight from its website or on your phone to grab and dash if you’re running tight on time. 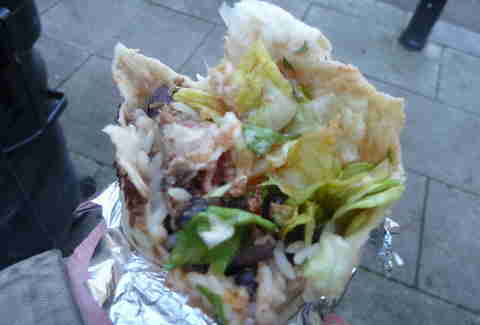 Another story of a food truck done good, Daddy Donkey notoriously has queues out the door and down the block. Lucky for you, it is one well-oiled machine, firing out burritos as fast as one might expect a well-oiled machine to do such a thing. 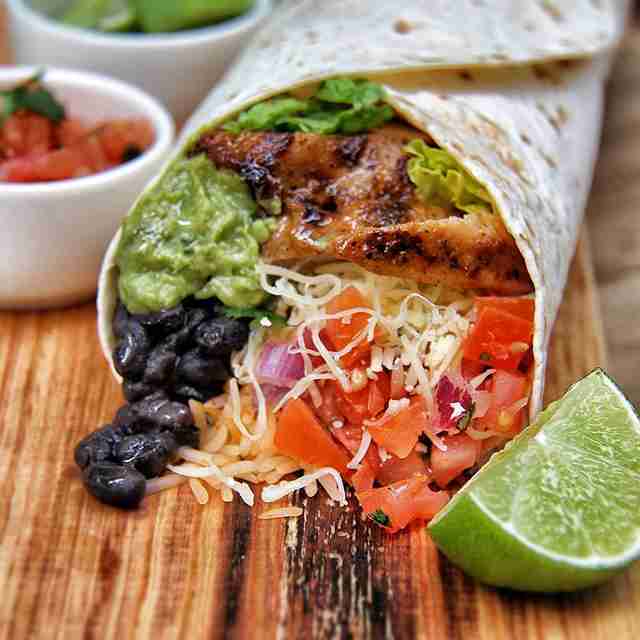 The Fajita Burrito subs out black beans for sautéed onions and peppers, giving you one of your five a day and really giving a chance to let the succulent beef shine. Hard to miss in their distinctly bright vans, they shine like beacons of deliciousness. The Chipotle Beef is braised and ridiculously amazing, with a bit of smoke and spice. If you want to up the anti a touch, be sure to load on a portion of chorizo for that extra kick.